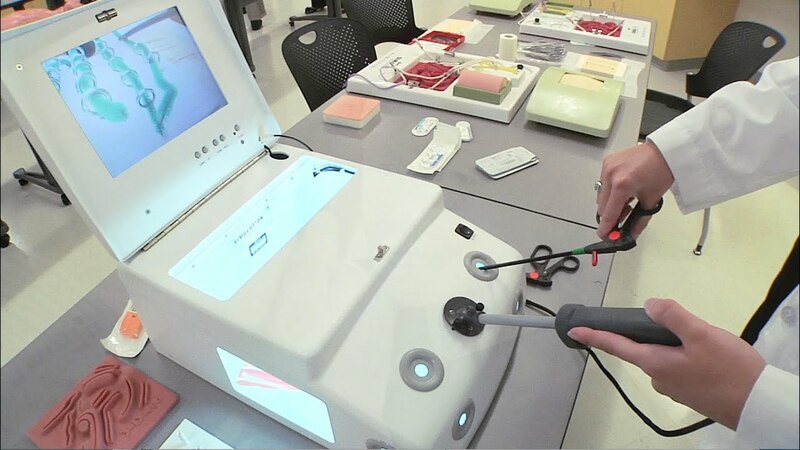 Developing new ways to use technology to teach common medical procedures and providing a safe environment for students to practice and perfect their techniques. 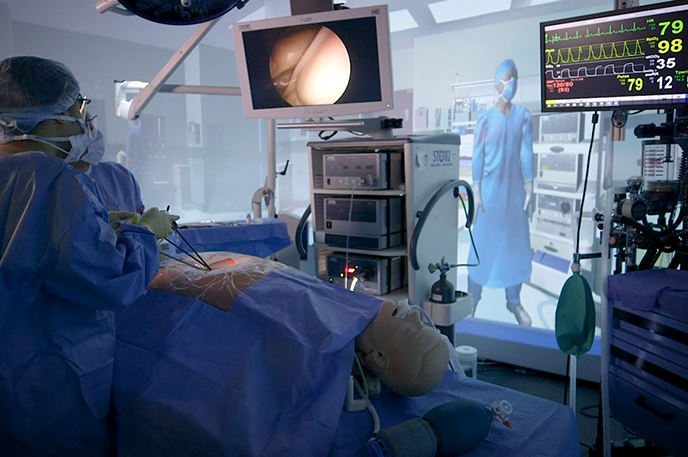 The Sentara Center for Simulation and Immersive Learning (SCSIL) allows students to get comfortable with communicating effectively with patients, responding to real-life situations in the field and performing clinical exams and surgical tasks. 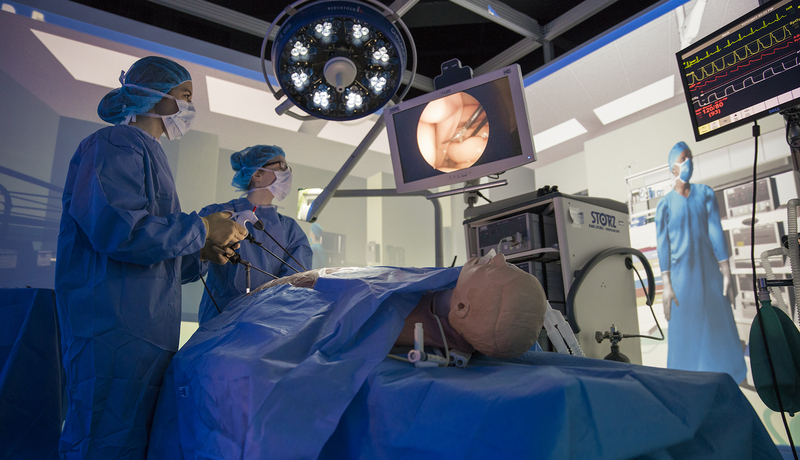 At SCSIL, students benefit from a 21st-century learning environment complete with an immersive virtual environment, 26 clinical exam rooms, an observation suite, six group skills rooms for staging emergency or operating rooms and more. Get certified in life support or become an instructor in one of our life support training courses. 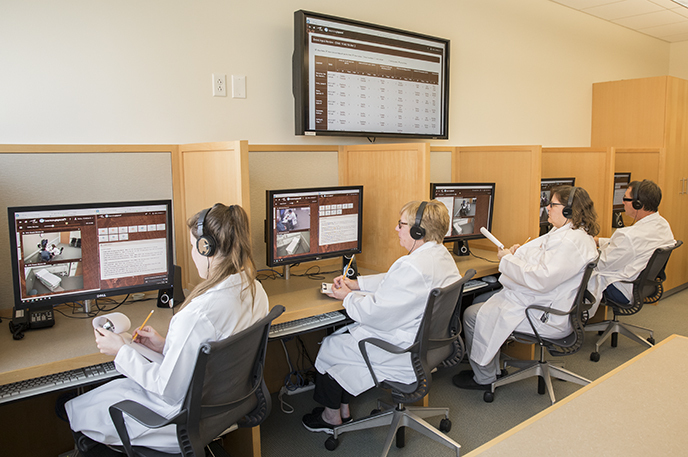 EVMS was among the first medical schools in the nation to use Standardized Patients (SP) and has remained a leader in the field. Our SP program is one of the largest in the country, using more than 115 SPs ages 12 to 85+ who create a broad range of scenarios for both medical and non-medical training. 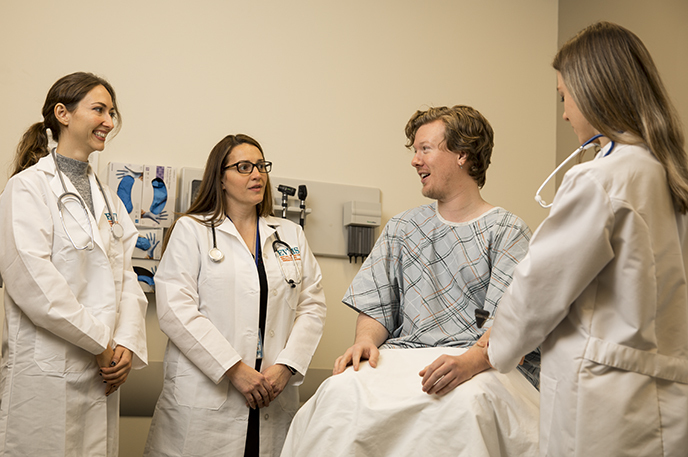 SPs provide a particularly invaluable training ground for medical and health professions students by giving them access to realistic patient interactions from the earliest days of their education. 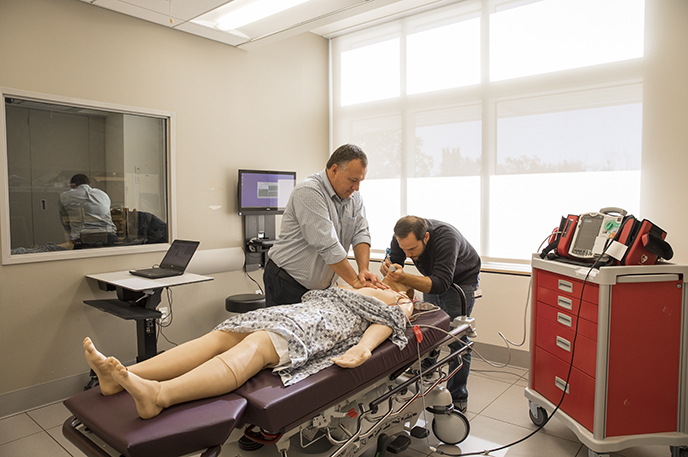 Our manikins are designed to assist learners in identifying and responding to conditions in a way that’s similar to how they would respond in a real-life situation. We have pregnant manikins that can deliver babies; newborn, older infant and child manikins that are used to train pediatric-specific techniques; and standard adult manikins and advanced patient simulators that can display neurological and physiological symptoms. Manikins are relatively simple to operate and some feature cutting-edge technology such as automatic drug recognition. 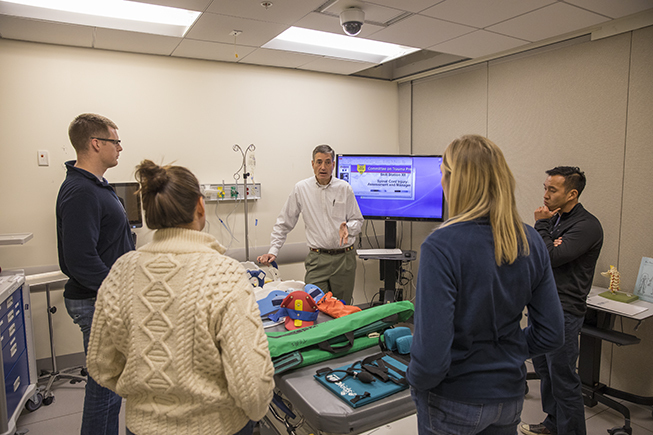 Our faculty are leading, publishing and presenting studies that focus on the development and use of simulation in education. We also offer support for students and faculty investigating educational technologies, simulation devices and novel curricula. Register for a course, request media production services, request a new course or submit a proposal for research using simulation. Subscribe to the SCSIL newsletter.